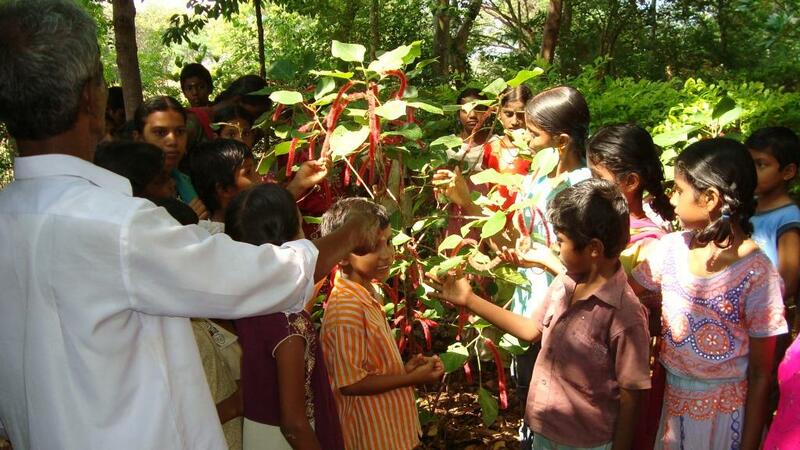 Since recently, our meals in Children’s Home have got a tasty and nutritious addition: green beans. Green vegetables are especially important as a source of iron, because 2/3 of children in Tamil-Nadu are anaemic, living mostly on rice. So, where have the beans come from in such abundance? Our children have grown them! Although SPPD is situated in a dry land area with very thin topsoil, the kids’ hard work made wonders. They cleared their plots of land from grass, tilled the soil, enriched it with vermicompost, and planted their small gardens. It’s amazing how fast everything grows here. Planted in September and October, the gardens have already started to bring first crops. The kids proudly demonstrate their plots. On Monday, November 14, we celebrated Children’s day in our home. The kids and teachers had worked hard till late the day before, learning speeches and practising dances, and continued preparations the next day. At 5 o’clock in the afternoon, the celebration started. Mr.Selvaraj(Union Chairman, T.Pet Union), Mr.Jegajothi Manohar (President, M.Pudhupatti), Mr. AppaNayakkar (President,Valavanthi), were the main guests. The children looked gorgeous, wearing their colourful national clothes and bright make-ups, and girls had roses in their hair. The guests and children presented their speeches about Jawaharlal Nehru and other great leaders. Then there came the most enjoyable part: dances. Our kids love to dance, and they never get tired of it. Three dances were presented, and everybody liked them. The children also had a lot of fun during the performance of a mimic. After the dancing, some of the kids quickly changed into kimonos, and showed some elements of karate under instruction of their karate teacher, Mr. Saravanan. After the official part finished, children had a kind of improvised disco, where they all danced free-style to Tamil music, and had a good time. The kids in the Children’s Home like to watch movies on Sunday nights. We have a lot of DVDs, but they are of bad quality, and sometimes don’t work well. Yesterday, when we were watching “Back to the Future-2”, the computer suddenly froze. The kids groaned with disappointment. I tried to return it back to life, but it took a lot of time and effort. The kids waited patiently while the computer was installing updates, opening programs that didn’t work, and doing other stupid things that Windows Vista likes to do. Finally, we could continue watching the movie. One girl, Kaviya, said happily: “I prayed to God for the movie to work again, and now it works!” “Thank you, Kaviya, it’s very good of you!”, I said. After a while, the computer wouldn’t cooperate again. We tried everything, but all in vain. “Where is Kaviya?”, I asked, looking for her face among the children in the dark room, but I couldn’t find her. Despite all efforts, the program didn’t work. We had to look for something else to watch. Kaviya was not there, she had been sent to do her homework. Our children study a lot, I would say. They go to school at about 9 am and return after 4.30 pm. They wash their clothes, eat snacks, and play outside for a little while. Then, at 5.30 pm, the kids either go to English or computer class, or do their homework till dinner time. I often see them with their books after dinner as well. The children get up at 5 am, do chores and, before going to school, study some more. So, I couldn’t have imagined it would have been possible to study more. But it was before the quarterly exams. About 2 weeks before the exams, the pressure started to rise. Some kids studied well after 10pm, and they didn’t watch TV on Sundays. Younger kids didn’t appear very stressed though. Their teachers seemed to be more anxious than the students themselves. When the exams finished, we congratulated the kids that they could finally relax. 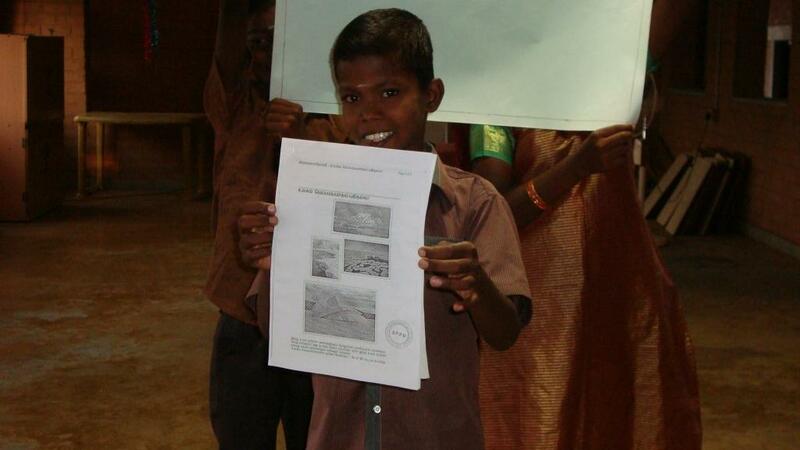 But it turned out that there was more work for them to do: question paper answers. The students had to memorise and write all the correct answers for all the tests. And then it was over, at last. You can see the results below. Well, we can’t say that they didn’t try. When I look at the kids in our Children’s Home, they sometimes look so big to me, and other times- so small. I wonder, why? When do they seem big to me? When some of them are naughty at my class, and I feel upset. When I try some activities or songs with the eldest students, and read in their eyes: “This is not for us! We are not little children!” Or, when they have completed a difficult task, and I am proud of them. I cannot tell precisely how big or small the kids are. So, here is some data to avoid any mistakes. These are the results of a recent check-up of their height and weight. Independence Day (Aug 15th), National Sports Day (Aug 29th), Teachers Day (Sept 5), World Ozone Day (Sept 16th), Gandhi Jayanthi (Oct 2nd ), World Food Day (Oct 16th) was celebrated at our home. The importance of each day was educated to our children. 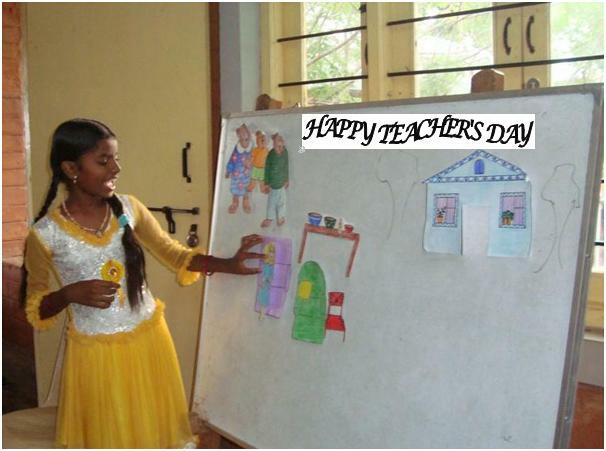 The children prepared teachers day wishes out of their own creativity and decorated the notice board as a token of love to their beloved caretakers. It was made important that all the children of our home must know cycling and as a follow up, they were taught cycling with the available cycles at the home. The children of our home were given a special training on the different types of trees growing around the Community Center where they stay. There are nearly 29 varieties of trees in our home. The names of these trees, their benefits, etc. were taught to them. 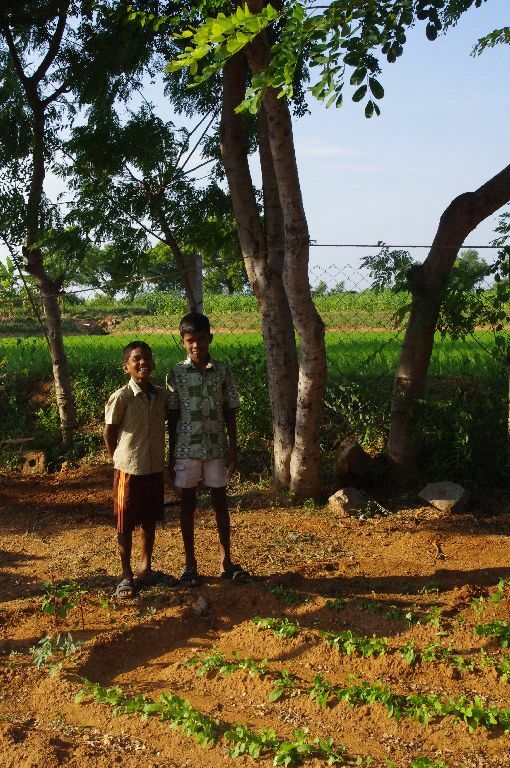 The use of planting trees in our surrounding was also emphasized to them.